The statistic illustrates the answers to the following survey question: ''What is the most beautiful FIFA World Cup stadium in Russia?'' 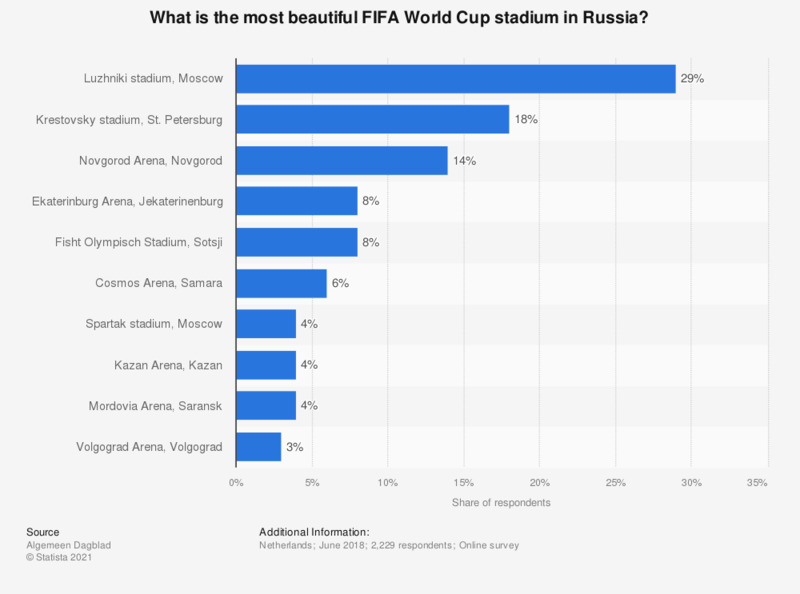 As of 2018, approximately 30 percent of the respondents indicated that they think the Luzhniki stadium in Moscow is the most beautiful World Cup stadium in Russia. This stadium will host multiple games, including the opening game between Russia and Saudi Arabia and the final of the World Cup.